Jaipur: Former Australia captain Steve Smith scored 20 off 16 balls on his return to the Indian Premier League but failed to inspire Rajasthan Royals to victory over Kings XI Punjab yesterday. Smith missed last year’s IPL after getting a 12-month ban from international cricket for his role in Australia’s ball-tampering scandal during a test match in South Africa. In the match 4 of VIVO Indian Premier League 2019, Chris Gayle hit a belligerent half-century as Kings XI Punjab registered a convincing 14-run win over Rajasthan Royals in a controversial match at Sawai Mansingh Stadium on Monday. 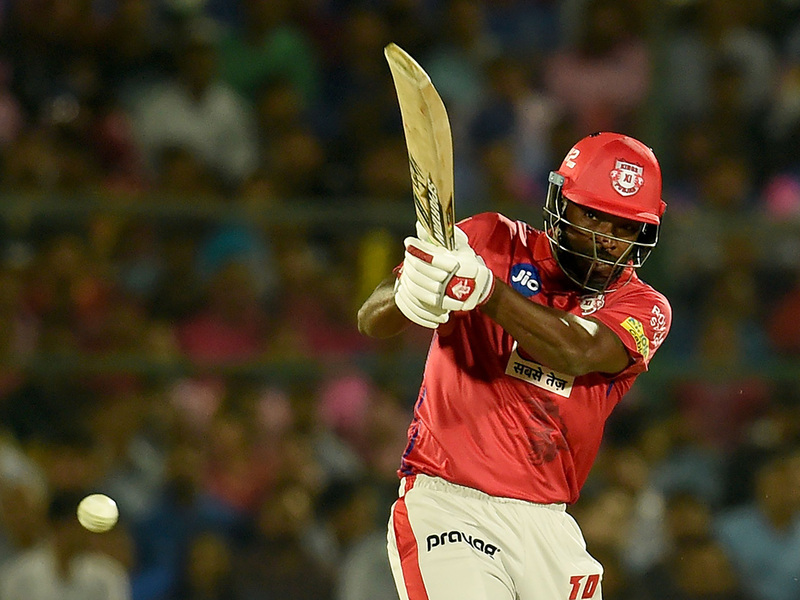 Opening the innings, Gayle started in an uncharacteristic fashion but grew in confidence as the innings progressed and helped Kings XI post a challenging 184 for four after being sent into bat. Gayle scored 79 off 47 balls and hit eight boundaries and four sixes in the process. Besides Gayle, young Sarfaraz Khan (46 not out off 29 balls) also played a good hand. Chasing the stiff target, Jos Buttler (69) and skipper Ajinkya Rahane (27) got Rajasthan off to a brisk start, dealing in boundaries and sixes to pile up 64 runs in the first six overs of powerplay. Buttler, in particular, looked in a destructive mood as he didn’t spare a single Kings XI bowler and struck eight boundaries and two hits over the fence to notch up his fifty in just 29 balls. Buttler and Rahane shared 78 runs in eight overs for the opening stand before the Rajasthan skipper was cleaned up by his Kings XI counterpart Ravichandran Ashwin. Buttler was going strong in the company of Sanju Samson (30) as they duo batted sensibly to keep Rajasthan in the hunt. But just when it seemed Kings XI were running out of ideas, skipper Ashwin did the unthinkable as Buttler became the first victim of ‘Mankading’ in the history of IPL. A desperate Ashwin mankaded Buttler in controversial circumstances in the 13th over with Rajasthan scoreboard reading 108 for two.